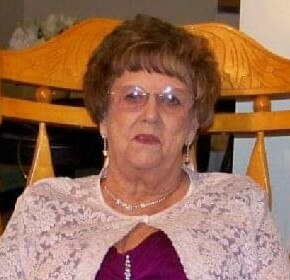 Iris Pauline Harris, 85, of Terre Haute, Indiana passed away April 15, 2019. She was born July 13, 1933, in Coal City, Indiana to Roy Foley and Stella (Marshall) Foley. Iris was a member of Greenwood Baptist Church. She enjoyed cooking. Iris was preceded in death by her parents; her first husband Jack R. Laswell; second husband Ace Lee Harris; children Jonny Laswell, Nancy DeRouchie, and Richard E. Laswell; brother Bobby Foley; sisters Margie Dayhuff and Louise Buskirk; great grandson BJ McCombs. She is survived by her daughter Rita McCombs; sister Thelma Vandeventer; 9 grandchildren and many great grandchildren; and one great great grandchild. Funeral services are scheduled for Thursday, April 18, 2019 at 2:00p.m. in Greiner Funeral Home, 2005 North 13th Street, Terre Haute, Indiana, 47804. Pastor David Dragon will officiate. Burial will be in Grandview Cemetery. Visitation will be at the funeral home on Thursday, from Noon until service time.